Robert joined CDC following 18 years with the Lloyds Banking Group, firstly joining as a Senior Financial Adviser and for 14 years as a Private Banking Manager offering holistic financial advice in the bank’s Wealth Division. 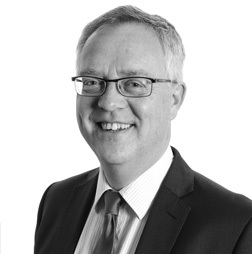 Robert has over 30 years of experience in the financial services industry including International Private Banking and Asset Management and has successfully attained the Diploma in Financial Planning. Outside of work, Robert is a family man with 2 children and like most parents finds most of his time taken up ferrying the family to various clubs. He enjoys, when he can, golf and takes a keen interest in football, cricket and most other sports.